OPAL Translation is an Australian translation company with a reputation and experience that you can trust! We provide fast Estonian to English and English to Estonian translation services for the lowest prices in Australia. Our Estonian translation services are NAATI certified which allows us to produce Estonian translations that adhere to Australia’s strict standards. Our Estonian translators and project managers have years of experience to help you translate your Estonian documents in several fields including medical, business, financial, technical, legal, etc. We translate Estonian certificates and produce NAATI certified Estonian translations on a daily basis to be used for various private and public Australian institutions and authorities. All of our translations are guaranteed to be accepted by authorities who require NAATI translations. We ensure that you will get an accurate, word perfect translation that’s stamped by our NAATI certified translators. For further details on OPAL Translation and our Estonian translation services, get in touch via the Live Chat or get a free quote using the online translation form. In just 2 to 3 working days, you will receive your Estonian translation via email. We also provide hard copies of our translations. Inform us if you need one, and we will send you a certified hard copy by post. In 3 to 5 days, you will receive your translation at your preferred address. If you are in a hurry, we have Express and Instant Estonian translation services where you can receive your translation in less than 24 hours – perfect if you need to submit your translation the next day. We only work with the best Estonian linguists who are NAATI accredited, ensuring 100% high-quality Estonian translations at an unbeatable completion time. 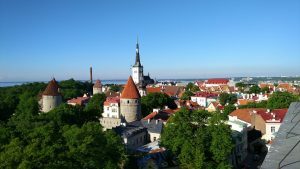 You can rely on our fast, reliable and accurate Estonian translation services and be sure that your NAATI certified Estonian translation is accepted by any authority. We offer the best prices in Australia, from just AU $69 for the most experienced and professional NAATI accredited Estonian translators. Pricing varies on the document’s length, deadline and subject matter. Send us your document (photo or scan) via the online quote form on this page, and our specialists will contact you within 15 minutes to arrange the translation and provide you with an exact quote for FREE. There’s no need to visit our office. We’ve created fully online Estonian translation services where you can avail and receive a translation online. We understand how busy our clients are. With the simple click of a button, you can get your document translated by NAATI certified translators who have years of experience. Here are some fun facts about the Estonian language. The Estonian language is the native language of Estonia. It is spoken by around 1.1 million speakers around the world. The Finnish and Estonian languages are almost similar. The very first book to have used the Estonian language was printed in 1535. The book was Wanradt-Koell Catechism. The language uses the Latin alphabet or Roman script in its written form. Since some words couldn’t be covered using the standard Latin alphabet, diacritic marks are placed to produce sounds. The Estonian language belongs to the Uralic language family and is considered as a Finno-Ugric language.